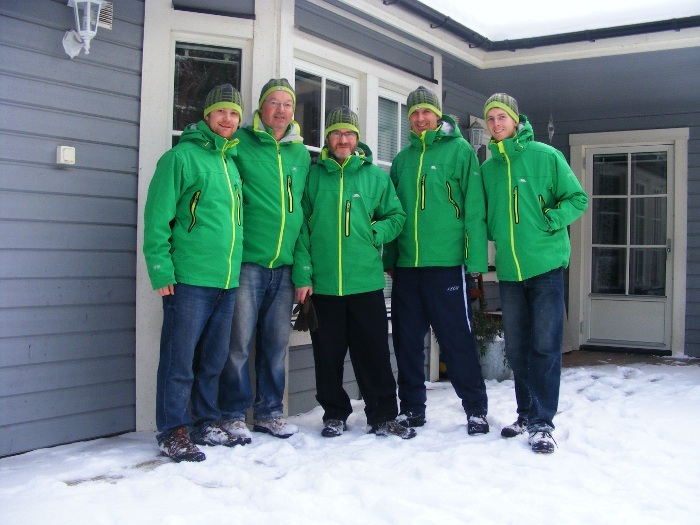 Team headquarters for Ireland in the 2012 European Curling championships is a traditional Swedish chalet set in a forested area next to lake Vänern, one of the largest inland lakes in Europe. The scene is an idyll albeit a cold one with temperatures oscillating between -5 and -15 ̊C. The snow generally falls as a light dusting but it’s cold enough to freeze the moisture straight out of the air on cloudless nights. Situated roughly half an hour from the ‘B’ Arena the team have to negotiate some fairly rugged terrain to get to the Ice. 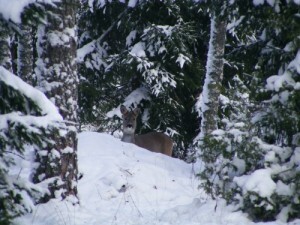 There seems to be plenty of wildlife in the area – there have been a couple of incidents with deer on the snow-covered roads – and a tame (sly) fox that approaches the house at night. Karlstad is a typical utilitarian city whose main feature is the aforementioned lake. The ‘A’ Arena is the ice hockey rink for the local team, FB Karlstad, while the ‘B’ Arena is Karlstad’s main curling hall, a relatively new eight sheet rink situated in an area of the city that seems to be zoned for various sports. 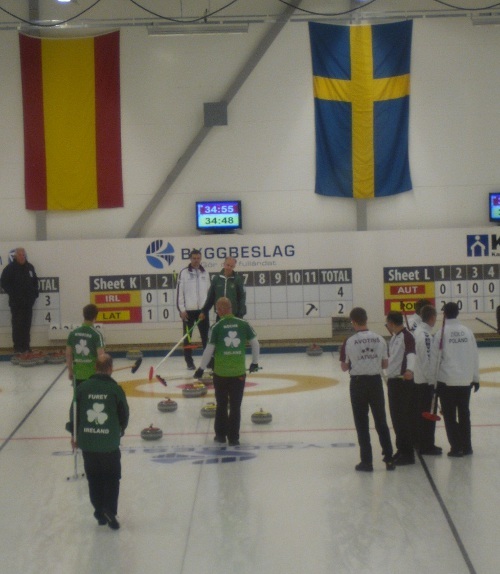 The ice hall looks to be one of the most modern and best equipped curling halls in Europe. Ireland rounded off their first day at the Karlstad European curling tournament with a disappointing display against Croatia eventually losing 7-3. The game started brightly enough with a single then a steal of two. The third end, too, was looking promising with two Irish stones in the four foot to defend but a missed guard allowed the Croatians in for a single and this started the demise of the Irish team for the evening. As in the Latvian Game the Irish team had a very poor middle section and looked for a way to pull themselves out of a rut of poor stones. This appeared to be working with a blank end in the sixth to calm things down and then a good position in the seventh where they lay one buried on the button with fourth stones to follow. But a superb stone by the Croatian skip managed to pull around the guard and tap the lying shot back two feet to reverse the position. This left the Irish team with a draw to the side of the four foot to stop the steal but the stone ran on for an extra foot and the miss effectively broke the will of the Irish team for the evening. Overall a disappointing performance by the team but they are re-grouping for a single match tomorrow against the Austrians in the afternoon. Well done in your first game. Looks like you’re living in a Winter Wonderland.